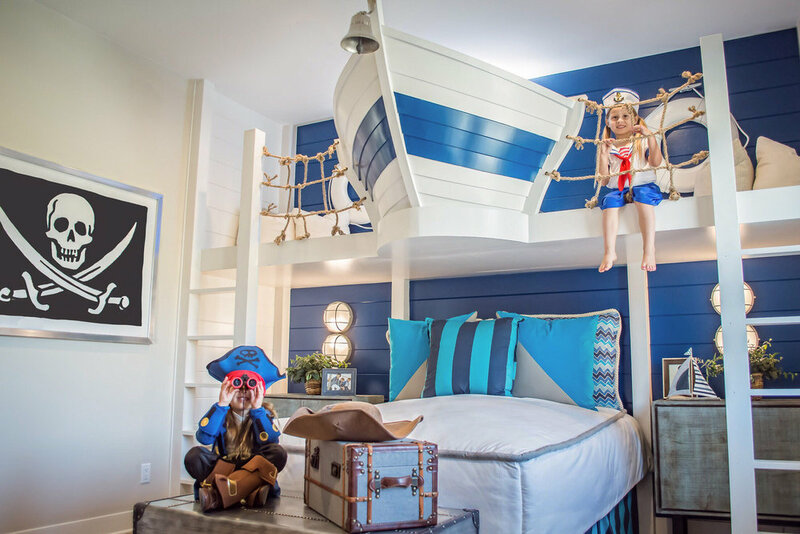 At Design Line Interiors we take the themes of your childhood and skyrocket them into another dimension. Boundless possibilities and limitless imagination are the trade secrets we draw on to create unparalleled magic. Remember your childhood bedroom? The hours we spent in our room growing up can somehow be recalled in vivid detail... the colors, textures and perhaps there was even a theme. For many of us, our childhood bedroom was really our first foray into the world of interior design; a reflection of who we were. Breyer horses on the shelf for a horse crazy little girl, a space theme for an astronaut-in-training, or perhaps the entire room was designed around the latest Disney character with whom we were obsessed. We take the idea of play to heart and if we can dream it, we will build it... On an expansive ocean of imagination, we work like sailors & play like pirates.